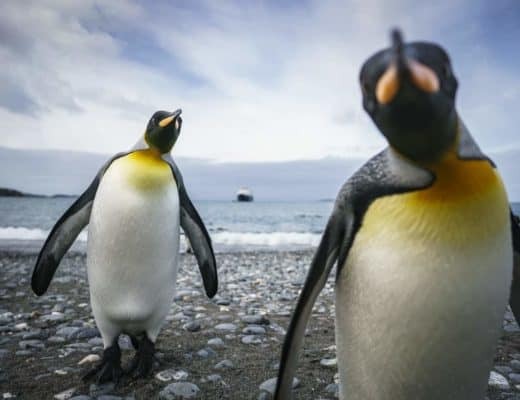 Antarctica – what’s to know? It’s basically the same thing as the Arctic, except down south. There’s snow, there’s ice, there’s… more snow, and that’s about it, right? Not quite. Root around a little under those southern snows and you’re going to find some pretty cool and interesting facts about Antarctica! 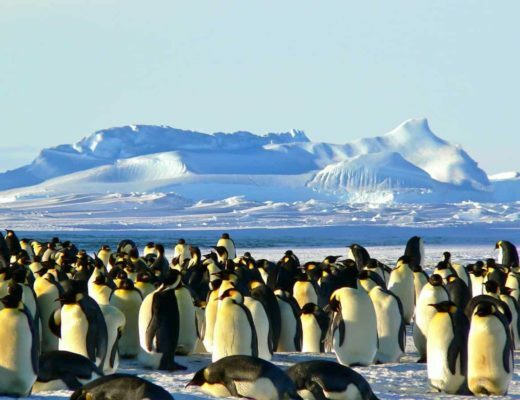 Here are just ten of the things you didn't know about Antarctica. Which one will you find most fascinating? 1. Antarctica has the coldest spot on Earth. Alright, this one might be a bit obvious. The coldest environmental recording ever made at ground level was at the Soviet Vostok Station on July 21, 1983, reaching way down to -89.2°C (-128.6°F) Brr! 2. But it’s not always freezing. 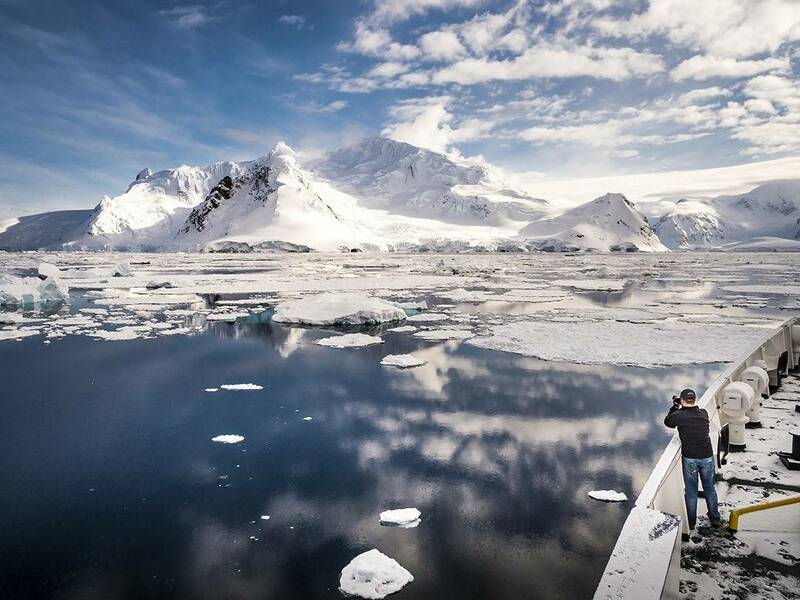 Spots in Antarctica (especially along the coasts) actually do warm up to around the freezing mark, just in time for the Antarctic cruise season to begin. 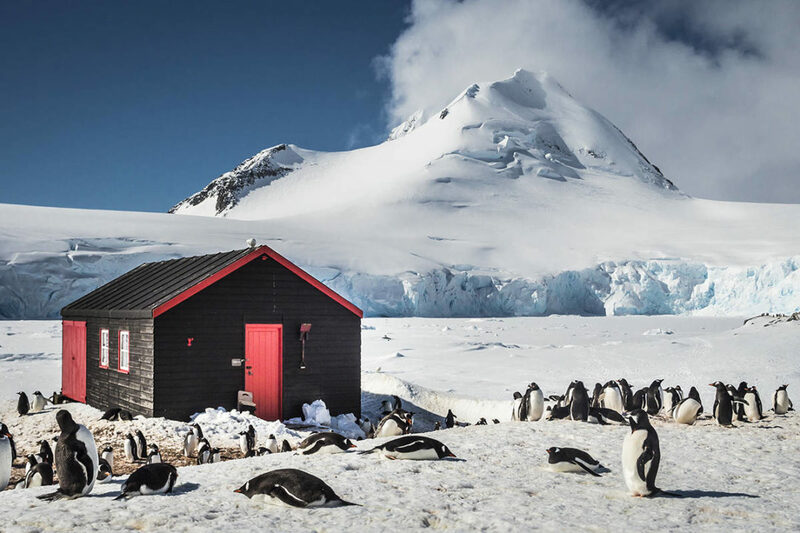 The highest temperature ever recorded was 17.5°C (63.5°F) at Hope Bay on the Antarctic Peninsula on 24 March 2015. 2. There was a human baby born on Antarctica. Emilio Marcos Palma’s mother was sent by Argentina down to the Argentine Fortín Sargento Cabral, found at the Esperanza Base at the tip of the Antarctic Peninsula, mainly so the country could have first-born bragging rights (and so they could claim a portion of Antarctica as Argentine soil). Emilio appeared on the snowy scene on January 7, 1978, weighing in at 7lb and 8 oz. 3. Antarctica has an active volcano. After some Interesting places in Antarctica? Mount Erebus is the second-highest volcano in Antarctica, Mount Sidley ranking as number one. However, where Sidley is taking a long nap, Mount Erebus is still alive and kicking, making it the southernmost active volcano on Earth. 4. Antarctica has liquid lakes. You’d think that fresh water would freeze in such a cold climate, and you’d be right, mainly. Yet Antarctica boasts somewhere in the neighbourhood of 300 lakes. How? It turns out that all of Antarctica’s liquid lakes are underground, far enough down that they are warmed by heat coming up from the Earth’s core. 5. Antarctica has really big ice babies. The largest iceberg ever recorded, Iceberg B-15, calved off of one of Antarctica’s glaciers (land-locked ice). The iceberg baby had a surface area of about 11,000 km2 (4,200 miles2), making it larger than the entire island of Jamaica. 6. Australian doctors must have their appendix removed. 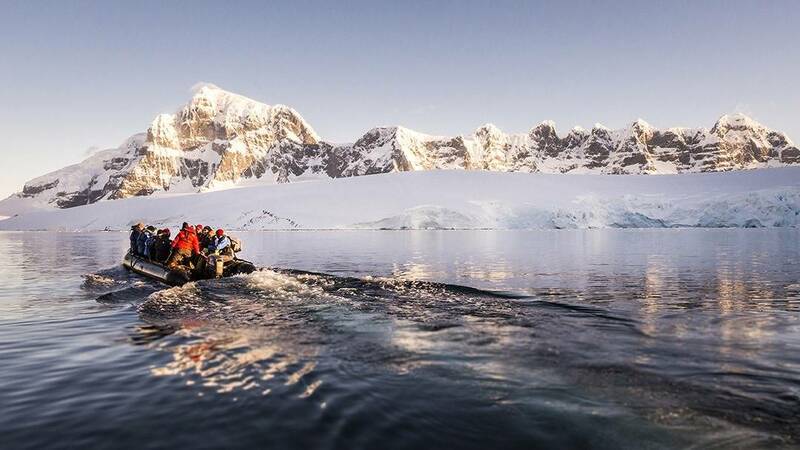 If an Australian doctor wants to work on one of the Australian stations on Antarctica he or she must have his or her appendix removed before making the trip. The reason for this odd requirement is that for part of the year medical evacuations are almost impossible. Likewise it’s nearly impossible (or at least extremely difficult) to get a new doctor in if the current doctor’s appendix decides to burst. This actually happened back in the 1950s. An Australian doctor came down with appendicitis while working on Heard Island and it took a lot of work to get the doc back to medical care. And then it happened again in 1961 to a Russian doctor. However in this case there was no chance of the doctor being evacuated from Novolazarevskaya Station so he instead performed the appendectomy himself with the aid of two assistants, a mirror, and a healthy dose of local anaesthetic. 7. There are two active civil settlements on Antarctica. We mentioned Argentina’s Esperanza Base above. The other active settlement is a Chilean town and research station with the lovely name of Villa Las Estrellas (“The Stars Town”). Boasting 150 hearty souls in the summer and 80 even heartier souls in the winter, the town is located on King George Island (off the tip of the Peninsula) and is part of a military base. Villa Las Estrellas boasts a primary school, a hospital, a post office, a bank (with one bank worker), a gym, and a hostel, amongst other fineries. 8. Antarctica’s melting ice causes a shift in gravity. As if the fear of global flooding due to global warming wasn’t bad enough, scientists have found that the shrinking ice region of the west of Antarctica has caused a slight dip in the gravity field. 9. Antarctica is the biggest desert in the world. A desert is defined as a region that receives less than 254 mm (10 inches) of precipitation in a single year. Since Antarctica generally receives less than 50 mm (2 inches) a year, it easily makes this qualification. Take that, Sahara! 10. Antarctica doesn’t have a time zone. There aren’t any official time zones in Antarctica. Why? Because, due to its location, Antarctica can receive close to twenty-four hours of sunlight or twenty-four hours of darkness around the clock (depending on the season), rendering Daylight Savings Time pointless. 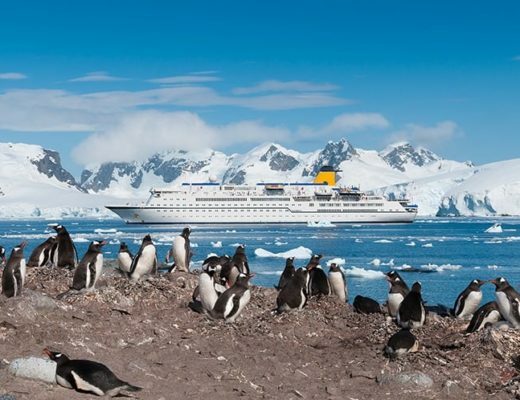 Does that mean that people on an Antarctic cruise get to enjoy Happy Hour all the time, or never? 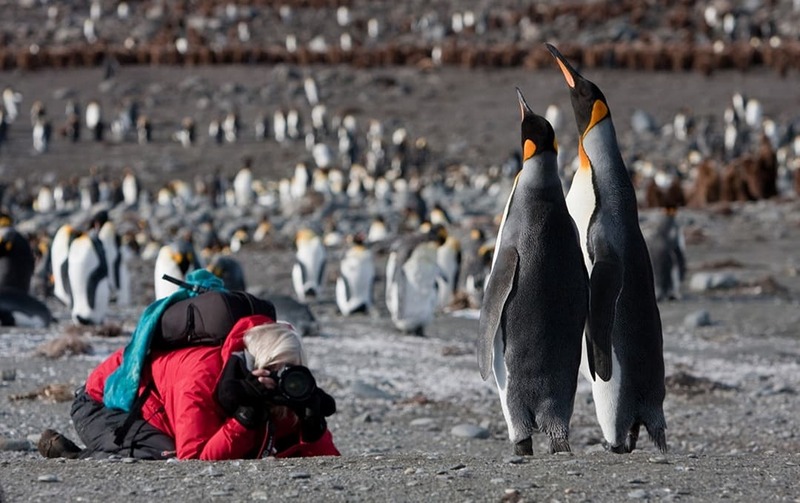 Which of these Antarctic Facts did you find most interesting? 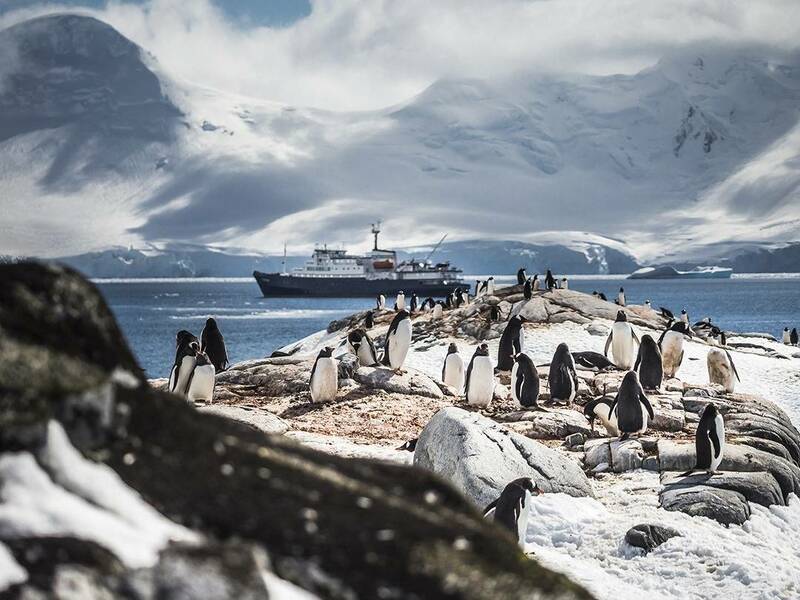 An Antarctic cruise is on our list, is it on yours?